Recent novel reading has slowed right down due to semester responsibilities. Nonetheless I have managed to read a couple of novels. I read Restless because the author, William Boyd, was recommended to me by a fellow passenger on a flight to Sydney. I had never heard of Boyd, but the superlatives on the cover, as well as the still from a movie dramatisation convinced that this must be just about the best book ever written. Alas! The novel, like All that I Am, shifts between scenes set in World War II and the present, although this is not as good as Anna Funder’s novel. Its plot is forced in places and its characters are somewhat two-dimensional. Perhaps Boyd is “English fiction’s master storyteller,” but I wouldn’t say so, not on the basis of this book, at least. It is not a book I will keep because I want to read it again sometime. 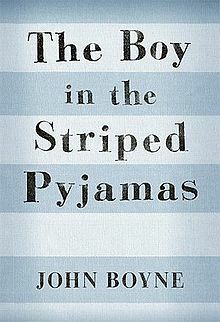 My response to The Boy in the Striped Pyjamas was altogether different. Told through the eyes of Bruno, a nine-year old boy, this story, too, is set in World War II. Initially I felt the device of “Out-With” and the “Fury” was a little contrived, and then overdone, but as I continued reading it gained an ominous depth. There is a gentle humour and a disarming innocence in the story which drew me into the plot. I won’t say more for fear of spoiling the story for those who are yet to read it. The fly-leaf description on my edition is not a description. It gives no clues to the story but simply says, “We think it is important that you start to read without knowing what it is about.” I did that, was moved by the story, and highly recommend it. Irish novelist John Boyne has written a very beautiful and poignant fable. and it is better to be a poor man than a liar. This is but one of many verses in Proverbs which laud the virtuous life, including specific attributes and character traits. In Proverbs 20:6 the sage asks, “a faithful man, who can find?” In Proverbs 28:20 this attribute is positively stated: “A faithful man will abound with blessings.” So, too, “he who is generous will be blessed, for he gives some of his food to the poor” (Proverbs 22:9). Another personal favourite is Proverbs 19:11, “A man’s discretion makes him slow to anger, and it is his glory to overlook a transgression.” Other proverbs extol prudence, wisdom, humility, love and righteousness. Perhaps the root of them all is the fear of the Lord, that orientation of heart and life in which one is meek before God, open to God, listens to God’s word, and obeys God’s commands. Eugene Peterson argues that the fear of the Lord, this attentiveness to God, lies at the root of all true Christian spirituality. so better poor than a liar (140). Murphy reads desire as the greed which accumulates wealth through deceit and which therefore leads to disgrace. As such, the poor person who has not resorted to such greed and deceit is better. Murphy’s intent is to force the two lines of the proverb into a harmony bearing a single message. This is unnecessary, however, especially when it requires obscure translations of both desire and kindness. In many of the proverbs, the second line expands the thought of the first line, complementing and extending it in new directions. That appears to be the case here. The proverb is not a comparison between the rich and poor, although this comparison occurs often enough elsewhere. Rather, it is about desirable character, or the character that makes one desirable. Earlier in the chapter a similar comparison is made between “the poor who walks in his integrity,” and the “one who is perverse in speech” (19:1). Understood in this way, the proverb commends two character traits: kindness and integrity. Kindness, as we have seen, is grounded in the divine character. God is kind. God’s covenant love and faithfulness are expressed in God’s kindness toward his people (see Deuteronomy 7:9; Hosea 2:19). In the New Testament, God’s work of salvation is the expression of God’s kindness: “But when the kindness of God our Saviour and his love for humanity appeared, he saved us…” (Titus 3:4-5). It is the kindness of God which draws men and women to repentance (Romans 2:4). Indeed, throughout the ages to come, God intends to lavish the riches of his grace upon his people in his kindness toward them in Christ (Ephesians 2:7). Kindness, therefore, has to do with active goodness and benevolence which seeks the welfare and benefit of another. In the New Testament, believers are commanded to be kind to one another (Ephesians 4:32), and to serve one another in love (Galatians 5:13). Yet kindness is also the result of the ongoing presence and action of the Spirit in our lives (Galatians 5:22-23). It may be that as the Spirit prompts us to kindness and we respond with obedience, the fruit develops and grows. Better to be poor than a liar. The liar is someone who practises deceit and spreads falsehoods thus rendering themselves untrustworthy and undependable. Their lies tear at the fabric of relationship, undermine confidence, and betray trust. If it is better to be poor than a liar, then being a liar is most undesirable, for who wants to be poor? What is desirable, therefore, is honesty, truthfulness and integrity. These characteristics, too, are grounded in the character of the faithful God who is true to his promise. God is not a man that he should lie, nor a son of man that he should repent. Has he said, and will he not do it? Or has he spoken, and will he not make it good? (Numbers 23:19). 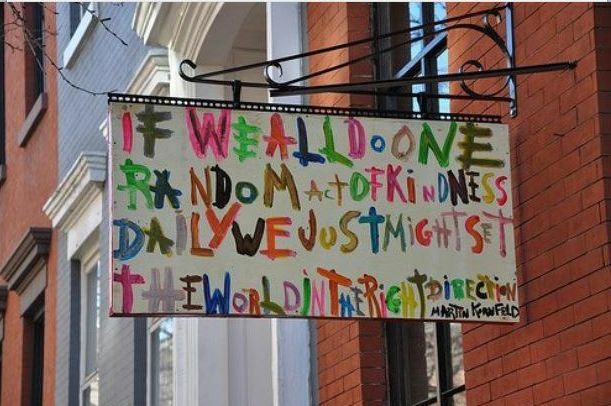 A few years ago a common bumper sticker read, “Practise random acts of kindness and senseless beauty.” Although clichéd, this is sound counsel, so long as the random refers to the recipient of the action, rather than to an occasional practice! Kindness should not be a random or occasional practice, but a constant disposition, a developed habit, and a consistent pattern of life. This is a model of masculinity sorely needed in our present world. What is desirable in a man? Kindness. Honesty. These are all the more necessary in a world in which cunning and violence are idealised and idolised. In these ways we image the God in whose image we are created. In these ways we participate in the divine life and become the men—and women—God calls us to be. What we see in HILDA’s latest glimpse at the evolving pattern of family relationships is men and women making different decisions, all hoping to do well in the great lottery of life. But the corrosive effect of an unhappy wife is a powerful underlying story and one that’s just not going to go away. She wrote a similar article in 2012. In both she is notes that marriage for women prior to the fifties could be and was in many cases, detrimental to women’s well-being. She contends that the situation is now reversed. But these murmurs of discontent are largely hidden from public view, as was the case back in the 1960s when Betty Friedan wrote in The Feminine Mystique about “the problem which has no name.” Friedan gave voice to women’s frustrations about the limitations imposed on them by the wifely role and decades of consciousness-raising followed. Now women grasp every opportunity to state their case, loud and clear. Yet most men still lead unexamined lives. Their “problem which has no name” – marital discontent – remains unexplored. But one day that too will change. I am fairly sure that not many would consider Arndt’s counsel as anything approaching “biblical,” yet last week’s essay will, in fact, help Christians think about and articulate approaches to relationships, marriage and parenting that are in accord with a Christian vision of healthy marriage and family. Nor is this in any way an appeal for marital complementarianism – either by Arndt or by me. Rather, it is a recognition that equal regard and mutual care are difficult to achieve, and just as inequality is unfair in one direction, so it is in another. It seems that men and women still have a long way to go to in learning to love and care for one another as equals. You can read the article here: Arndt, Men’s Sacrifice on Altar of Matrimony. God’s kingship will involve the overthrow of many aspects of the status quo, but it is remarkable that among those powers and values which it will challenge Jesus seems to have little interest in that aspect of the current situation which for many of his hearers was primary, the fact of Roman imperial government. More fundamental than political revolution is the spiritual revolution Jesus instituted as the ‘stronger man’ who overthrows the kingdom of Satan. In this view salvation is exorcism, the liberation of men and women from oppressive and dehumanising spiritual powers. So a revolution against the rule of Satan is going to involve a revolution in the thinking of those who wish to come instead under God’s kingship. Their minds need to be liberated from Satan’s control. … And it is that sort of revolution, the overturning of accepted human attitudes and values, which Mark’s Gospel is designed to promote. … To follow Jesus demanded a complete reorientation. 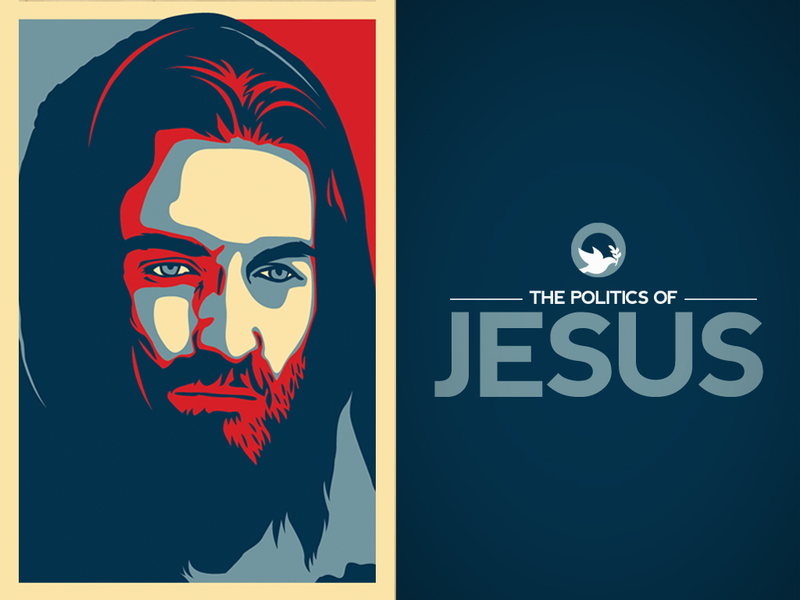 To say this, however, is not at all to suggest that Jesus’ message is apolitical in its implications. To the contrary, his message of the kingdom of God is deeply subversive with respect to the present ordering of life in the world. The community of God’s people would live in ways which challenge the false values and false gods of the surrounding culture. This, though, is different to direct political action. It is no doubt true that some are called to participate in direct political activity, especially in a liberal democracy. It is likewise true that genuine care for the vulnerable members of society may necessitate at times, direct intercession on their behalf to those who hold positions of power. It may even call for costly opposition to those in power because we choose to stand with the vulnerable. Jesus, though, neither taught nor modelled direct political action. He did, however, call his followers to a primary allegiance which trumps all other allegiances. He did, however, model redemptive engagement with those who suffer, were outsiders, lowly or despised. He did command that we love our neighbour as ourselves. He did exemplify and commend the ways of peace. He did command that we neither value or pursue those things so highly valued in the world. Not so among you! The temptation to have and exercise power is ever with us, for it seems that those who hold the levers of power are able to accomplish so much in the world. Nevertheless, it also seems that whenever the church has gained political power it has not gone well. Might it be that whenever we become enamoured with gaining, holding and exercising political power we betray our loss of confidence in the spirit and power of the gospel? R. T. France, Divine Government: God’s Kingship in the Gospel of Mark (Homebush West: Lanzer, 1990), 46. For Ezra had set his heart to study the law of the Lord and to practice it, and to teach his statutes and ordinances in Israel. Lord, teach me from your Word and let it be for me a Word that shapes my life, and truth that guides my way; and grant me the grace to so live it and teach it that others also might walk in its light (September 1, 2002). Why this verse—especially when Ezra-Nehemiah are amongst the most obscure books in the Bible for me? It has been ages since I have read them, and I have never really studied them in any depth. Yet this verse has been a benchmark in my life for many, many years. I came across it in the very early years of my Christian life, well before I was married, from memory. The study had begun in Psalm 78:8: “And might not be as their fathers, a stubborn and rebellious generation; a generation that set not their heart aright, and whose spirit was not stedfast with God” (KJV). I searched through the Scriptures to discover what it meant to have a right heart toward God. Over and again I found reference to those who had ‘prepared their heart’ to seek the Lord. The phrase was especially prominent in 2 Chronicles, and I found it here in Ezra as well. Ezra prepared his heart to study the law of the Lord, and to do it, and to teach it. What particularly attracted me to the verse was the order of the concepts: study, do, teach. A common saying is that one ought to practise what they preach. Although that might be true enough, this verse would shift the order and exhort us to preach what we practise. Chances are we would have many fewer and much shorter sermons! Quite simply, the purpose of biblical study is obedience, understood in terms of a life shaped by the central vision of Scripture, as well as concrete obedience to specific precepts and commands where they apply. In my line of work this is a professional hazard. It is possible to study for other purposes: to prepare a sermon, to teach a lesson, to gain knowledge, to write an article—or a blog post, to prove a point, to dispute with a colleague, to win an argument, to make a name for oneself, to escape from less desirable activities, especially those where interaction with other people is required. Not all of these other motives are necessarily wrong, although some are. Nor is it the case that the heart is missing, inactive or corrupt in them. Yet it may be. The biblical emphasis on the centrality of the heart is unmistakeable. The Lord looks on the heart… When the text says that Ezra set his heart, Fensham (The Books of Ezra and Nehemiah [NICOT], 101) notes that the word for ‘heart’ (lebab) connotes the entirety of one’s whole being. Ezra had devoted his life to this task, and, whether as result or as cause, “the good hand of the Lord was with him” (Ezra 7:6, 9). Ezra’s study, practice and ministry was the focus of his life. He had become “skilled in the law of Moses” (v. 6). I suggest that his skill was not simply a mastery in terms of knowledge, but discernment and endurance with respect to application, as well as practical wisdom, understanding and passion in teaching. I look back with some amusement at my pious prayer in the front of my Bible. I know that I have often failed to live up to the lofty sentiment it expresses. I know, too, that I have allowed a professional distance to infiltrate my spirituality with respect to Scripture. Further, being pious is also such poor form these days. Who wants to be holier than thou? Our Christianity, our hermeneutics are too sophisticated for that! Lord, teach me from your Word and let it be for me a Word that shapes my life, and truth that guides my way; and grant me the grace to so live it and teach it that others also might walk in its light (July 19, 2015). Fowl, Stephen E., Theological Interpretation of Scripture: A Short Introduction (Milton Keynes, Paternoster, 2009). Stephen Fowl describes his little book as a ‘companion’ to the theological interpretation of Scripture with the twin tasks of first, exploring some ‘connections between this long-running and essential Christian practice’ and more recent scholarship around the issue, and second, to help readers navigate their way through the contemporary literature (x). The first of five chapters lays the foundation by providing a short description of the nature and role of Scripture in God’s drama of salvation. 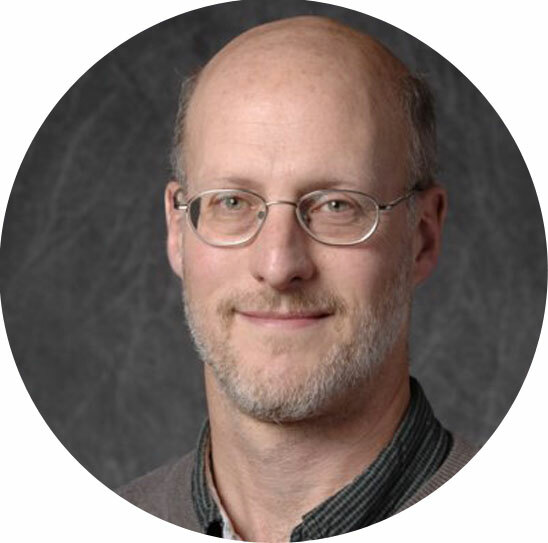 Fowl finds that christological approaches to the nature of Scripture disconnect theological construction from the interpretation of Scripture, and so suggests a new model of understanding the nature of Scripture is required. 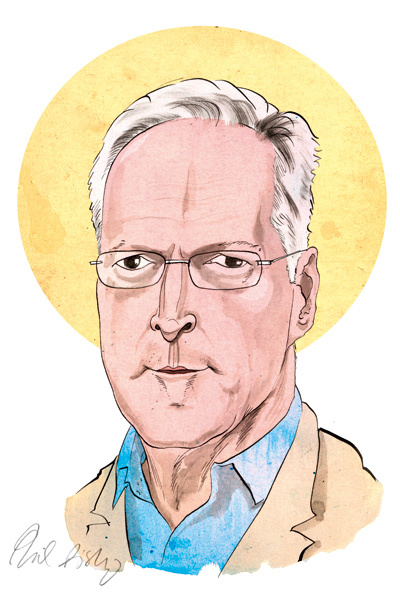 He adopts John Webster’s approach of locating Scripture within the triune economy so that for Christians, ‘the ends of reading, interpreting, and embodying Scripture are determined decisively by the ends of God’s self revelation, which are directed towards drawing humans into ever-deeper communion with the triune God and each other’ (6-7). Rather than rely on hermeneutics to combat interpretive anarchy and sinful interpretation, believers should seek to regulate these tendencies ecclesially. In short, we should not ask philosophy to do the church’s work (51). The third chapter identifies several key practices and habits of theological interpretation. Here Fowl suggests believers attend to pre-modern modes of interpretation, especially those where the interpretations issued in ‘masterful performances’ whereby the saints were drawn into ever deeper communion with God and neighbour (54-56). He also argues for ‘figural’ readings of the text, where ‘literal’ readings may not provide a sharp enough vision to account for the world in which we live. Note, however, that Fowl’s description of a ‘literal’ reading of Scripture is “the meanings conventionally ascribed to a passage by Christian communities” (56-57). The final set of practices are not so much practices of interpretation as practices to help the Christian community as it actually interprets Scripture and so inevitably finds itself confronted with different interpretations and the threat of division. These practices include truth seeking and telling, repentance, forgiveness and reconciliation, and finally, patience, both toward one another in the community, and toward God, in confidence that God will ultimately bring the community to its ultimate end in Christ (64-70). The final two chapters survey issues and prospects for the future, and provide an annotated bibliography that considers some of the key scholars and contributions to the somewhat ‘chaotic party’ that makes up the present interest in theological interpretation. Perhaps the most interesting points here are Fowl’s call for a great deal more cross-fertilisation and robust argument between theologians and biblical scholars, as well as more reflection on how the sermon might become a mode for serious theological interpretation of Scripture (72-73). This is indeed a short introduction to theological interpretation of Scripture, and perhaps, in the end, too short, especially for a beginner. 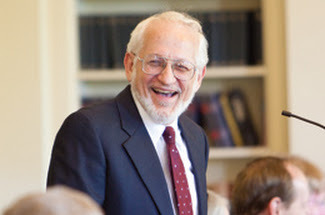 Those seeking to be inducted into the methodology and practices of theological interpretation would be better directed to a lengthier treatment of the topic such as Dan Trier’s Introducing Theological Interpretation of Scripture (Baker, 2008). Nevertheless it would be uncharitable to hold Fowl accountable for what he has clearly not attempted to do. His little book effectively argues for the validity of theological interpretation if one can accept his primary presupposition that Scripture is divinely given to lead God’s people more deeply into communion with the triune God and with one another. Further, it provides the essential orientation and ethos of theological interpretation, as well as giving a number of examples of theological interpretation at work; and all this in so short a book! An added bonus is that Fowl is bound to upset scholars all over the theological playing field. Some will cry, “off-side” because of his regulative principle, others because he displaces the author, others because he de-centres historical criticism, others because he values pre-critical modes of biblical interpretation. For me, this is a strength of the work, for he is clearly not beholden to any one school of thought. Further, his regulative principle is left quite broad, intentionally I suspect, so that reading communities of different persuasion will find that they can practise theological interpretation within the promise and bounds of their various traditions and convictions. For myself, I welcome the book and resonate with the approach. I hope especially that pastors and elders might stumble upon this work and begin leading their congregations in the kinds of practices Fowl commends. Perhaps more congregations might then so read Scripture, that new and renewed communities of saints would again be found who faithfully and fruitfully embody the theological vision of the Bible, as they live more deeply in communion with God, with one another, and with all their neighbours. On Friday August 7 I happen to be in Sydney and so intend heading to Moore College for the first of Kevin Vanhoozer’s lectures. For those who live in Sydney, Kevin’s series of lectures will continue the following week. The series, “Mere Protestant Christianity: How Singing Sola Renews Biblical Interpretation (and Theology),” promises to be rich fare for those who can make it along. Further details are here. At lunchtime on June 24, 1933 August Jäger was appointed Commissioner of all Protestant Landeskirchen in Prussia. Klaus Scholder notes that, “the long-feared event had taken place. The state had intervened directly in the church” (The Churches and the Third Reich, 1:355). That night, in the face of mounting social, cultural and political crises, Karl Barth famously—infamously—announced that he would “endeavour to carry on theology, and only theology, now as previously, and as if nothing had happened.” Barth’s essay, Theological Existence Today, was and is a clarion call arguing for the independence and integrity of theology in the face of formidable cultural pressures. At stake is the integrity of the church and its faithful witness to Jesus Christ. While he addresses the issues of the day such as the deposing of Bodelschwingh, the relations between church and state, and the various parties seeking the renewal of German Protestantism, the real issue lies elsewhere. The battle is not against the German Christians, but for them. The battle is not against foes outside the church but is within the church: it is the battle for the Word of God, to be waged by prayer, proclamation and genuine theological work. This paper sets Barth’s essay in context, identifies his central concerns and claims, and explores his response to the crisis unfolding in German Protestantism in June 1933. And speaking of historians, does being gay make you a better historian? ‘Immensely, immensely,’ says Diarmaid MacCulloch. A friend sent me a link to the following interview with Diamaid MacCulloch. Finally, this has nothing to do with public lectures or history, but perhaps provides grist for the theological mill: Is this narcissism, being adventurous, or the over-concern of a nanny-state mentality? Read the whole section (Luke 3:1-18) here. 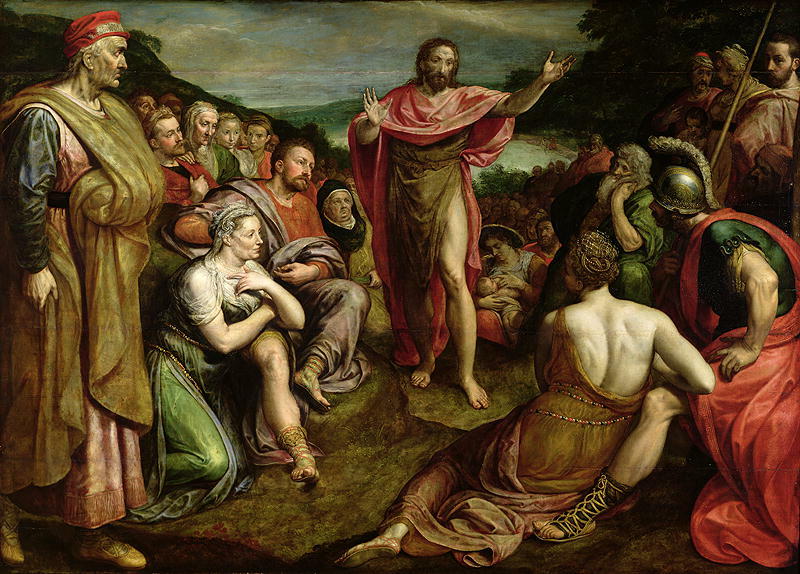 John lashes his hearers as he preaches the “good news” to the people (v. 18). And these are those who have come out to the wilderness to hear him! Might he be even harsher with those who refuse to come? Many Christians today would not recognise this sermon as good news at all, while others think this is the only way to authentically preach “the good news.” Tear strips off the people! Flay them with words! Drive them to repentance! John is obviously anticipating the end of all things; the wrath is coming, but so is salvation (vv. 6-7). Even now the axe is laid to the root of the trees (v. 9). Now is the time of decision. Now, before time expires and the opportunity is lost. Soon the Mighty One will come, gathering the grain into his barn—but the chaff!—the chaff will be burnt with unquenchable fire; the unfruitful tree, too, will be cut down and thrown into the fire (vv. 16-17, 9). John’s fierce rhetoric is born of urgent times. This is not simply eschatological vision, but apocalyptic certainty. It is a minute to midnight and the axe is poised to strike. Judgement is inevitable and imminent, and the people flee like vipers before a spreading fire. So John calls to the people to repent while they still can. There is but one possibility of escape. They have come for baptism. They have come because they are Abraham’s children. They have come because he is a prophet, the first in four hundred years. They have come because they are curious. The news of the coming judgement and salvation is good news indeed—so long as one is on the right side of the judge! And so John preaches repentance. His baptism is a baptism of repentance (v. 3), though baptism alone will not suffice. Not religion or ritual, but repentance. Not belonging to the right group outwardly, but a new life demonstrating that we are indeed, not a brood of vipers, not simply children of Abraham, but children of the kingdom of God (cf. Matthew 3:2). “Who warned you to flee from the wrath to come?” I. Howard Marshall suggests the question is rhetorical and indicates the sheer impossibility of escaping the coming, total judgement, least of all by an “external, ex opere operato rite” (Marshall, The Gospel of Luke [NIGTC], 139). In verse 8 John warns the people to “bear fruits in keeping with repentance.” The analogy of verse 9 speaks of “good fruit” and warns that every tree not bearing such fruit will be cut down and destroyed (cf. Matthew 7:19 where the warning is also found on Jesus’ lips). What fruit does John have in mind? Whoever has two coats must share with anyone who has none; and whoever has food must do likewise. John identifies acts of generosity toward the poor as a key indicator of true repentance in the kingdom of God. This is more than simply having a “generous heart” or a generous intent, but involves concrete acts of compassion, sharing, participation and solidarity. The good fruit of verse 9 is worked out in terms of good works: works of love, kindness and mercy rather than works of the law and more than religious works of ritual. Soldiers may keep soldiering and tax collectors keep collecting, but they must do so without violence or greed, avoiding the sins of their profession (Marshall, 143). Certainly John wants the people to be baptised and receive the forgiveness of sins. But their faith must be genuine, and so repentant, and their repentance must move in directions which characterise the love, kindness and mercy of the God who cares for every living person. To be baptised is to enter into the life and community of the kingdom of God, freely offered to us through the forgiveness of sins. Yet this involves repentance, a decisive turning from the kinds of sins which render present life antithetical to that kingdom. To those, like me, who are so very rich—I have far more than two tunics, and I never go hungry—this word comes as a great challenge. John is interested in deeds. Note the threefold question from the crowd, the tax collectors and the soldiers, “What shall we do?” What, then, do I do with respect to the poor in specific, concrete deeds of sharing? And do I do it from a distance, writing a cheque or making a bank transfer, or is it a case of love with dirty hands? Is my sharing personal and participative or impersonal and aloof? Is my life characterised more by the way of the kingdom or by the way of the world? This verse has been unsettling me all week. The narratives of Scripture are not simply interesting stories to inform, entertain, or edify us. They aim to engage, liberate, convert, and transform us. Their purpose is to tell what God has done for us and to invite us to enter into the new freedom that is ours in Christ. They make truth claims about God and about the world in relation to God, and they call for our personal response. Only as these narratives of the activity of God intersect our own lives, personally and corporately, opening us to a new relationship to God, a new identity, a new life, and a new mission, do they become for us genuine media of the revelation of God (Faith Seeking Understanding 3rd edition, 39). Daniel Migliore’s chapter on revelation is a study in theological clarity. He defines revelation as God’s self-disclosure in Christ narrated in Scripture. He models revelation as analogous to interpersonal communication, whereby another may become known to us through the persistent patterns seen in their activity, through their promises, and the story in which their character is narrated. Scripture plays an essential and irreplaceable role in communicating divine revelation, while in and of itself Scripture is not revelation but witnesses to the revelation given in God’s redemptive activity in Israel and Christ. In the citation above, some of Migliore’s commitments are evident. Scripture aims at human liberation and transformation, announcing the redemptive work of God on behalf of all. Yet God’s activity calls for personal response; revelation has both an objective and subjective aspect. Scripture becomes a medium of revelation as it intersects and opens our lives in and through the power and work of the Holy Spirit. Revelation must come to fulfilment otherwise it is not revelation proper, for revelation is not simply the provision of information. Revelation is salvific and transformative, conferring a new identity, life and mission. The role of Scripture as a means of revelation is central, and calls for free human response. On the one hand, there can be no reception of the revelation of God in Christ apart from attentive and trustful reading and hearing of the witness of Scripture in company with other members of the people of God. Only in the context of faith, prayer, proclamation, sacramental life, and service of the church does the transforming power of Jesus Christ attested by Scripture become effective for us. On the other hand, there is always a need for critical appropriation of the revelation of God in Christ as mediated to us by Scripture and the proclamation and life of the church (43). A major task of theology today is to recover a liberative understanding of the authority of Scripture. Toward this end I will contend that the authority of Scripture has to be understood in relation to its central content and its particular function within the community of faith. Scripture is the unique and irreplaceable witness to the liberating and reconciling activity of God in the history of Israel and supremely in Jesus Christ (46). Revelation can never be considered our possession, something we can take for granted. It is an event for which the church must continually pray: “Come, Holy Spirit! Speak once again to your people through your Word” (44). Trust in the Lord with all your heart and do not lean on your own understanding. In all your ways acknowledge him and he will make your paths straight. This is one of what I sometimes call, a “golden text.” It is the kind of biblical text that gets written up on greeting cards, sown into tapestries, found in a promise box, and, once upon a time, would be the “daily text” published in the newspaper. All this is to say is that it can easily become cliched, though this is undeserved. For generations and for centuries, Proverbs 3:5-6 has been a favourite for many believers. Simple in word and structure, the threefold command is followed by a single promise. It captures the hope that God is truly present and at work, involved and engaged in our lives, even when God’s presence and activity are not visible to us. The text calls the believer out beyond themselves, to live toward another. The Christian life, in this sense, is “ec-centric,” whereby the believer lives toward a centre external to themselves. It is to be God-centred rather than self-centred, to lean the weight of our confidence on God rather than on oneself. All this is to say is that this text is more easily cited than obeyed! The three commands are perhaps better understood as practices than simply commands. That is, trust, do not lean, and acknowledge describe an ongoing and habitual orientation on the part of the believer, rather than a once-off or occasional behaviour. Further, there is nothing passive about the activity envisaged here. To trust in the Lord is to entrust oneself to the Lord – all one is and does and has and hopes for. It signifies relinquishing self-sufficiency and self-help, and consciously, deliberately, putting our lives into the hands of God, looking for God, hoping in God, relying on God and resting in God. The apostle Paul echoes this sentiment with his exhortation: “in everything with prayer and supplication, let your requests be made known to God” (Philippians 4:6). So, too, does the apostle Peter: “Cast all your cares upon him, for he cares for you.” Such trust, however, is hard won, difficult at the best of times, and near impossible unless we are reduced to trust through desperate circumstances. 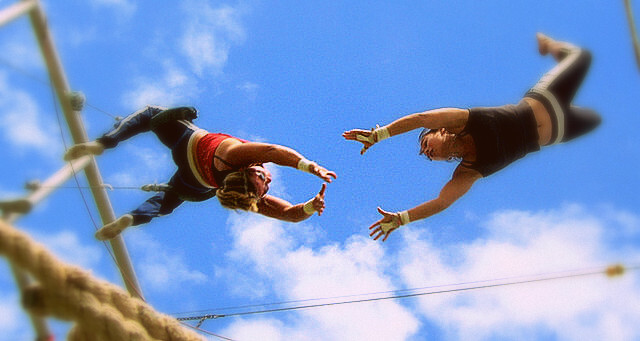 Yet trust can be learned; trust can be practised, by acknowledging God in word and prayer, turning to God in praise and petition, seeking God humbly for wisdom, direction, strength, listening for God’s voice in Scripture and through others, and standing firm even when circumstances threaten to undo us. So many stories in Scripture reinforce this text in narrative form, and often negatively. Asa turned to human alliances, and then to physicians, instead of seeking the Lord (2 Chronicles 16). Ahaz also turned to human alliances and was rebuked by the prophet: “If you will not believe, you surely shall not last” (Isaiah 7:1-9). Naaman, on the other hand, obeyed the apparently ridiculous instruction from the prophet, and was healed (2 Kings 5). Jehoshaphat and all his people turned to the Lord in trust and prayer in 2 Chronicles 20 and were heard and rescued. Mary said, “Be it unto me, according to your Word (Luke 1: 38). Peter said, “Master, we worked hard all night and caught nothing, but I will do as you say and let down the nets” (Luke 5:5). Trust in God extends beyond the horizon of our existence, beyond the boundaries of earthly life. It reaches “beyond the veil” to where Christ sits at the right hand of God. To trust in the Lord is to trust him with the entirety of our person and irrespectively of what transpires. It is to believe that “faithful is he who promised; he will also do it” (1 Thessalonians 5:24).